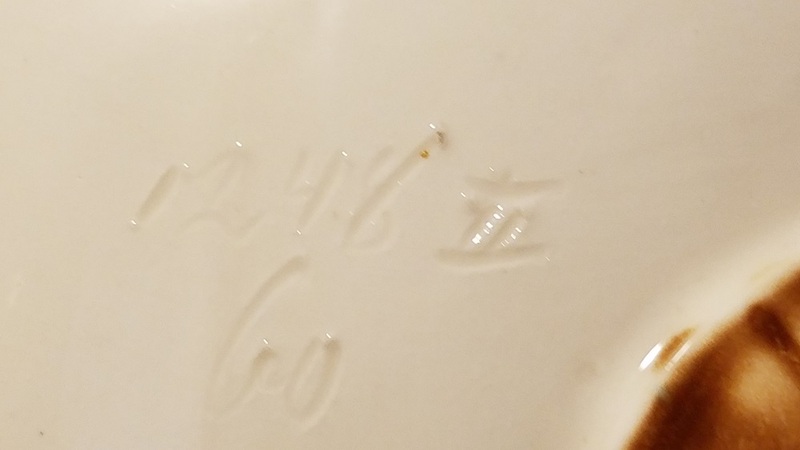 Subject:Strange Bowl -- Asian or Someone's Interpretation? This is kind of a neat... well, I'm not sure what it is. It's four-footed, and I'd call it a bowl if it wasn't longitudinal rather than round. 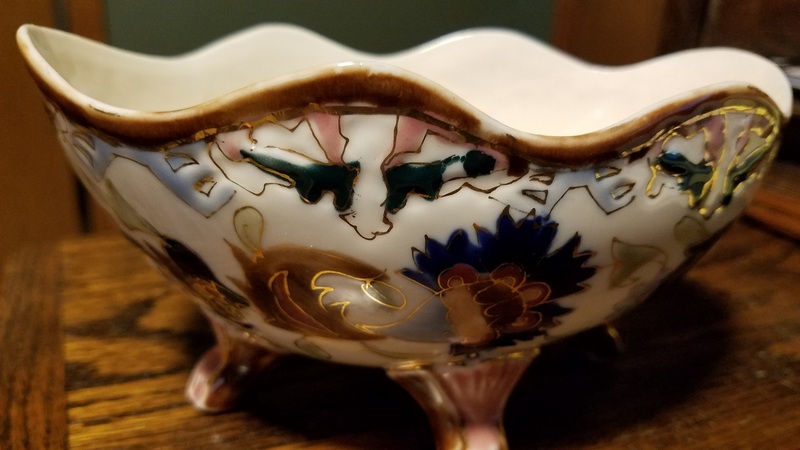 Whatever it is, it appears designed to face outwards from a corner or wall, as the rear foot is the only one that isn't decorated, and the "back" is sparsely decorated. It's pretty well done, and has some notations both impressed and painted onto the bottom. The upper part of the back is decorated with the same impressed marks as the front, they're just not painted over (maybe forgotten?). 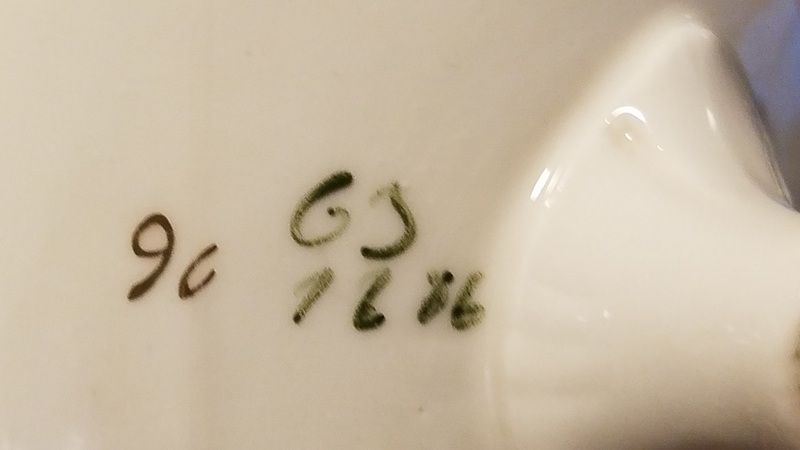 Appears Asian, I'm guessing mid-late 1900s, but could also be a European porcelain interpretation. Any corrections/additional information will be welcomed.